Just Bring Your Furniture! Because This Home Is Completely Remodeled! Boasting 5 bedrooms and 2 baths with warm colors and rich wood tones blending with all new flooring throughout, tiled shower and appliances included along with the unseen extras to include exterior foundation water proofing along w/drain tile, updated electrical and plumbing. 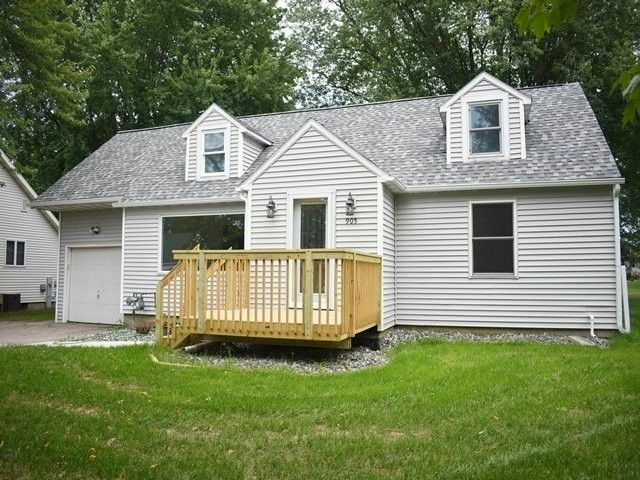 Maintenance free exterior and windows, deck, 200 amp service and A/C. You will feel like you have bought a new construction home! Directions: Central Ave, E on Harrison St, N on Maple Ave to home.